ESPN just keeps digging itself a bigger hole with the Patriots and their fans. The "World Wide Leader" edited a column written by ESPN Boston's Mike Reiss regarding the Outside The Lines report that, for whatever reason, tried to bury the Patriots by bringing up Spygate and how it relates to Deflategate. Reiss's column, a very well-thought out and logical piece, featured seven takeaways. ESPN edited two of them out. The only thing ESPN said about the edits were: "The story was given a tighter edit after its initial posting." If you didn't believe ESPN full of it before, you have all the proof in the world now. Talk about journalistic integrity. Anything that would be seen as a good thing for the Patriots just won't cut it for them. 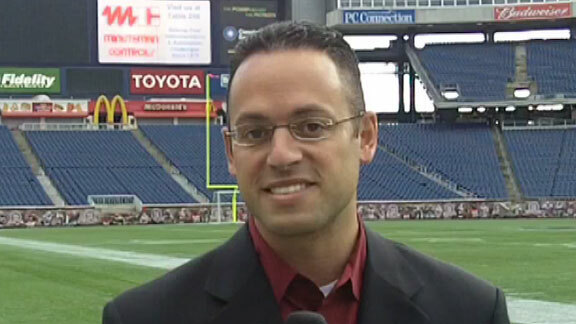 Reiss (@MikeReiss) won't say it publicly, but this has to bother him. It would bother anyone. He's one of the best NFL reporters at ESPN and across the league and he's being unfairly jerked around.